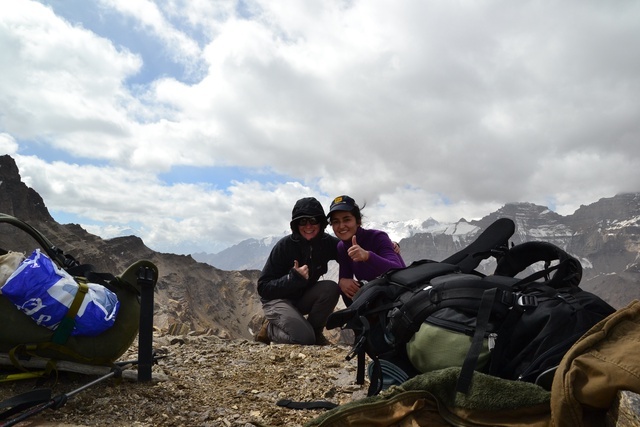 WOMEN ROCK'IN PAMIRS... What's that??? Women will have new work opportunities in a secluded and economically poor region. 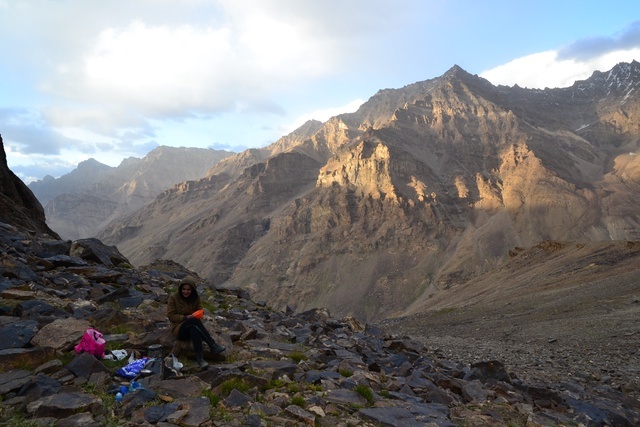 Women gain confidence in their ability to work in a mountainous environment. 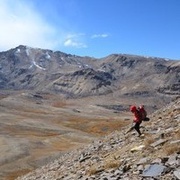 They are able to safely guide groups of clients on mountain itineraries for several days. They join the pool of guides that PECTA offers to international tour operators and individual tourists. This project is happening in collaboration with PECTA (Pamir Eco-Cultural Tourism Association) who is gathering all main tour operators in the Pamirs. 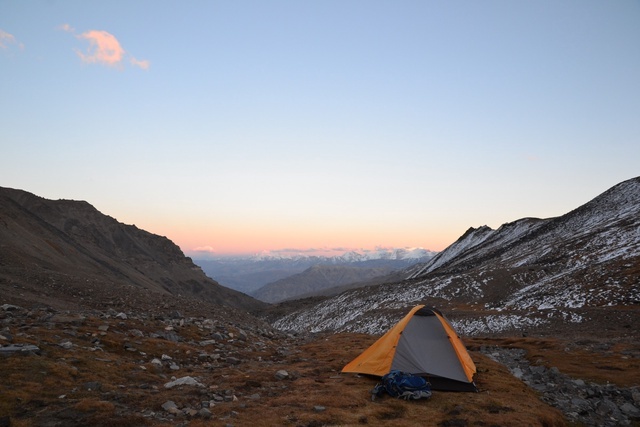 It all started in summer 2015 when Furough started to accompany Christine, who is preparing a trekking guidebook, to scout itineraries in southern Pamirs. 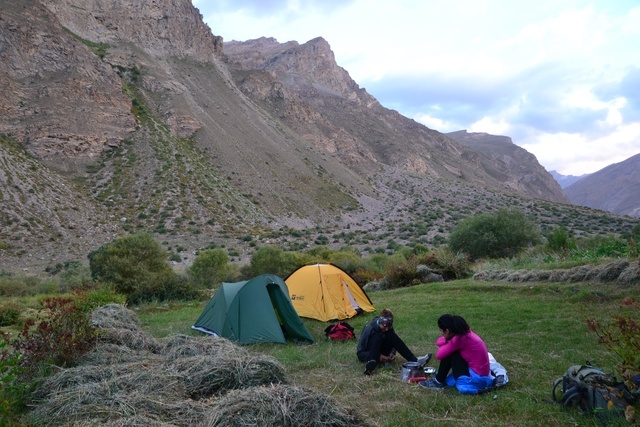 After 2 months of trekking, the organization where she volunteered, PECTA, who is gathering all main tour operators in the pamirs, asked Christine to organize a training session for Pamiri women. So here we are! Winter 2016 : Christine is looking for a moutain leader to join the project. She meets Claire, moutain leader in a French mountain range, the Vercors. Audrey also joins the team. Spring 2016 : friends and moutain lovers helped us to collect second hand equipment for the pamiri girls that we'll train : fleece jackets, hiking shoes, backpacks, tents... Thanks a lot to all of you!!! Summer 2016 : let's try and help us in Ulule to finish equipping the girls with hiking gear and with covering the costs of the training. We hope that by equipping them with the right gear, girls will be able to get trained and to work without having difficulties due to bad or inexistant equipment. We want to provide them good quality moutain equipment: rain jackets (Gore-Tex type), down jackets, tents, fuel stoves, mountain sunglasses... 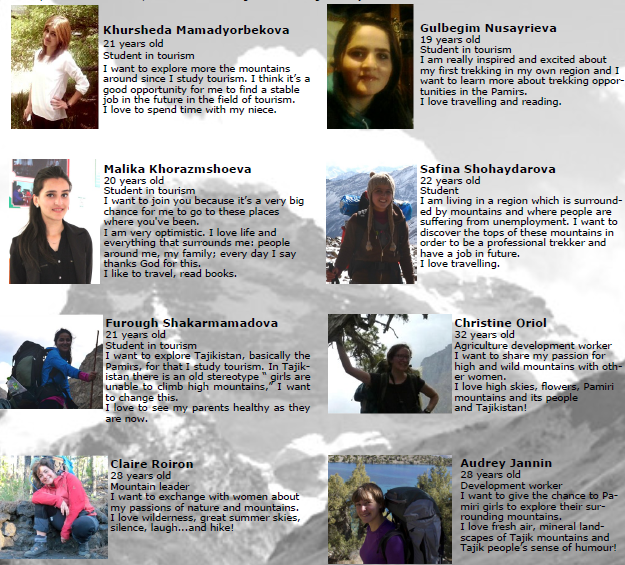 They will be able, once well equipped and trained, to work with clients and let them discover their wonderful Pamirs moutains!!! 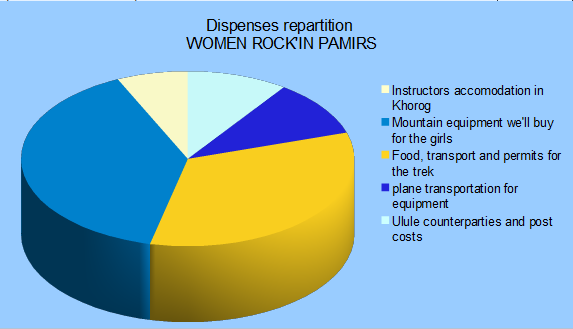 French women trainers take on their own flight tickets, as well as transportation to Khorog and food expenses during the training session. This is a voluntary project, so the trainers will not receive any financial compensation for their work. Fall 2016 : training evaluation, sending gifts to all the Ulule donators, and preparation of WOMEN ROCK'IN PAMIRS the 2nd!!! Claire will be in charge of collecting the ULULE campaign funds and of buying the equipment. We will be able to provide you with evidence of our expenditures and the financial evaluation of the project. 1 super kitch pin's "From Pamirs with love"
+ 1 postal card "Women rock'in Pamirs"
+ 1 diner with the Women rock'in Pamirs team so that you'll know all about the secrets of the project!